9 Ways 90 Days: Very odd: Craving Real Whole Grains today. While chatting with a friend on Facebook this morning, I just realized that I must be craving real whole grains. This morning I have cooked and eaten steel cut oats with raw almonds and apples for breakfast. Kneaded organic sprouted spelt flour to bake flatbread, and am soaking brown rice to cook with dinner. Crazy. I have never craved whole grains like this. So, my body may be missing something. 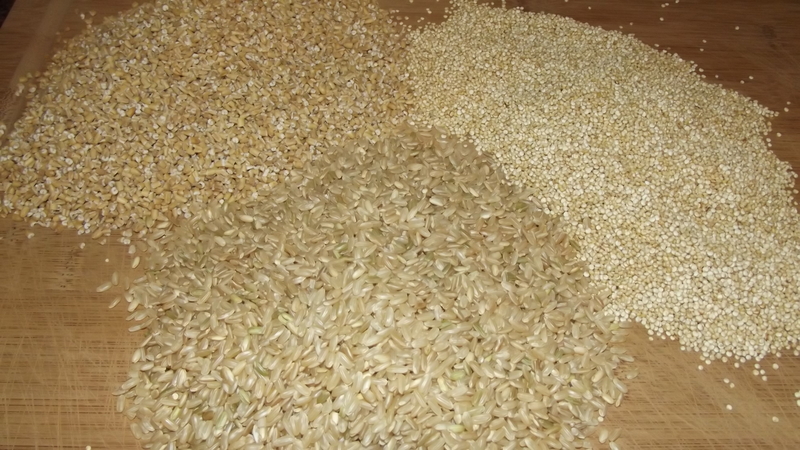 Real whole grains (not processed) are nutrient-rich. Full of protein, fiber, B-complex, iron and magnesium. Whole grains balance sugar highs and lows. Due to the fiber in whole grains, they digest slowly, and produce more stable blood sugar levels than refined, processed grains. Be sure to consume whole grains. Do not eat grains processed or refined into bread, crackers or cereal. Come on over to Facebook and share a photo of your favorite whole grains.